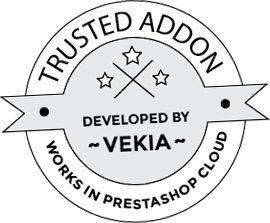 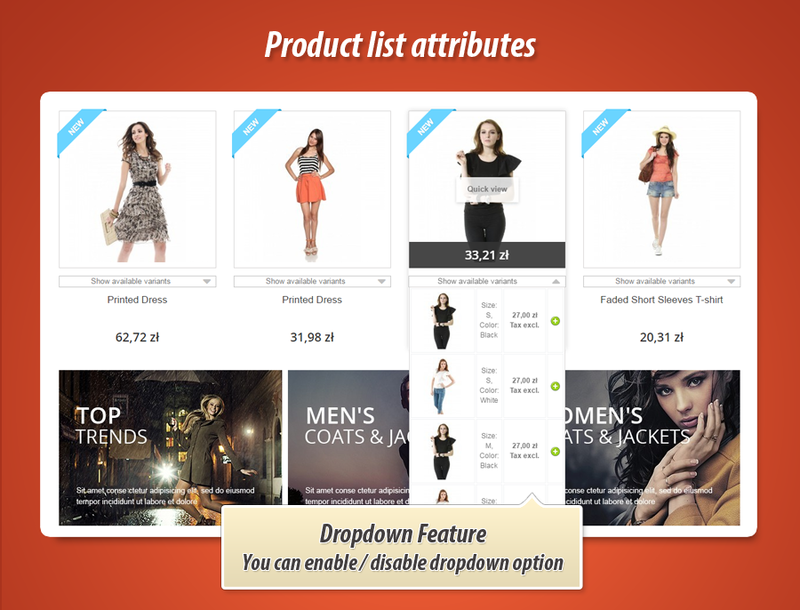 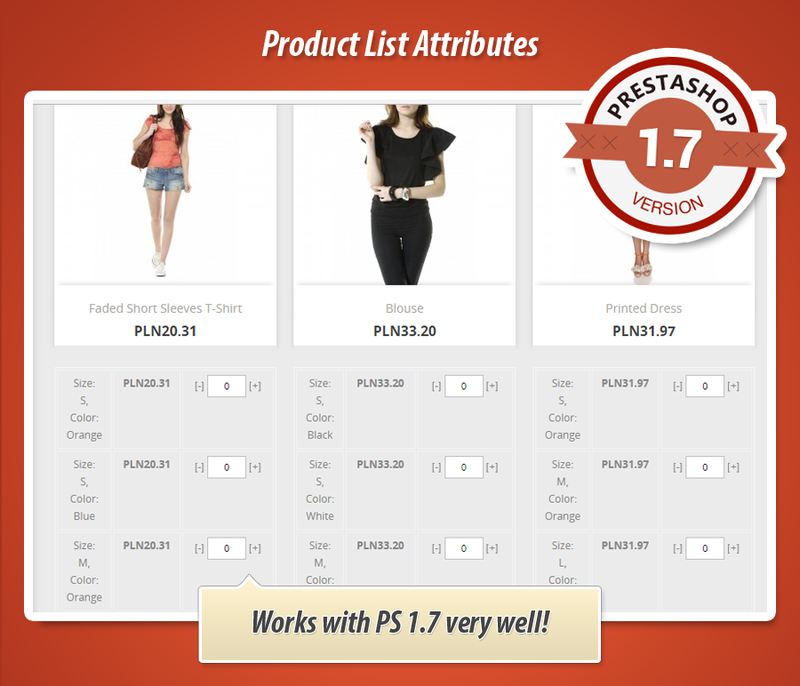 With this PrestaShop module you can display all available product combinations directly on list of products. 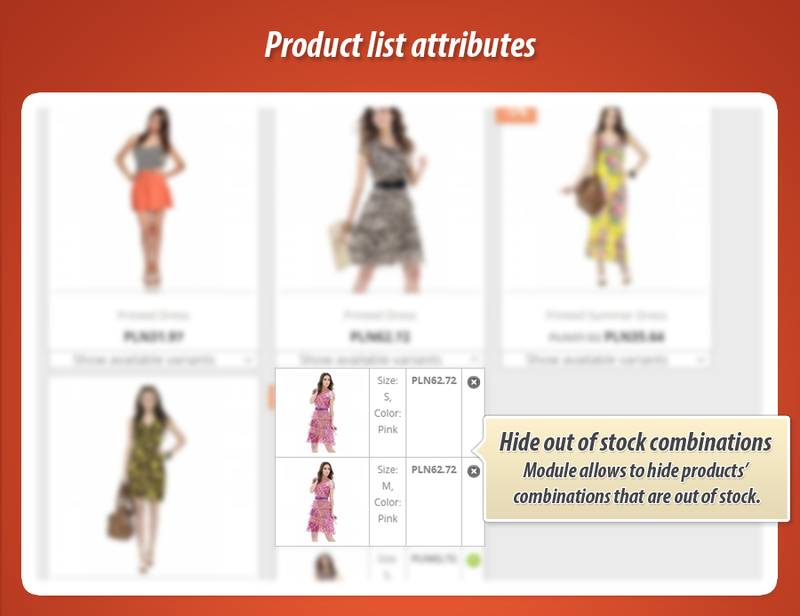 So, with this feature customer can add selected variant of product to cart directly from list of products (product-list.tpl). 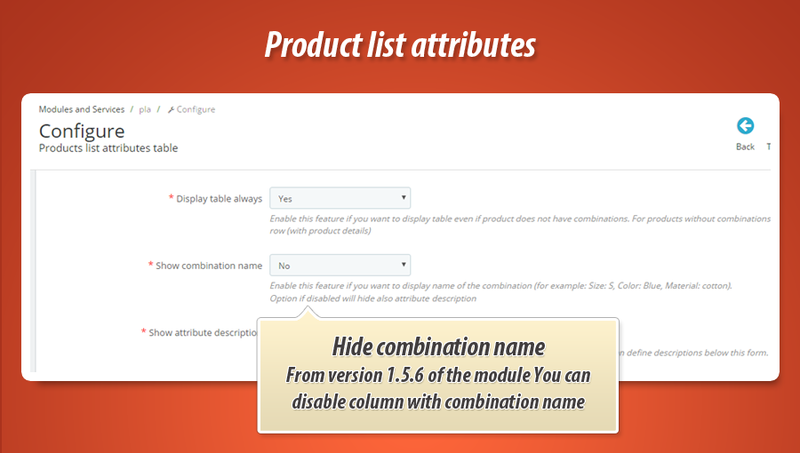 Module allows to customize appearance settings. 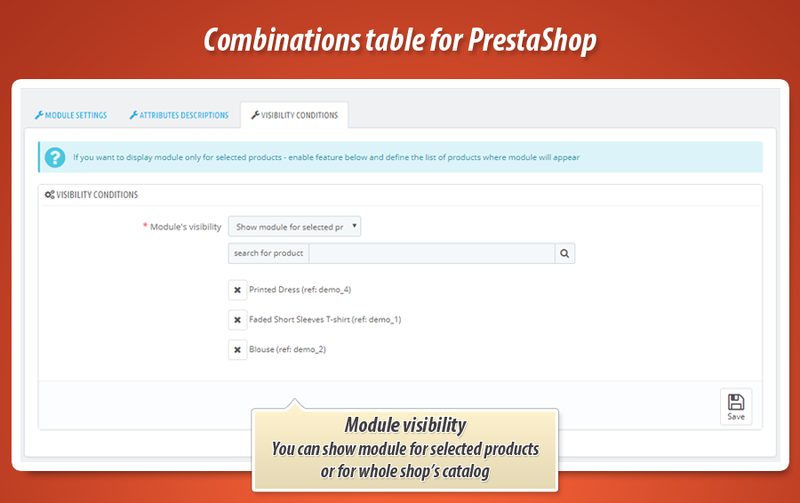 Main idea of this PrestaShop module is a feature to dispaly list of all available attributes (product combinations) directly on products listings like category view, search results, manufacturers' products etc. 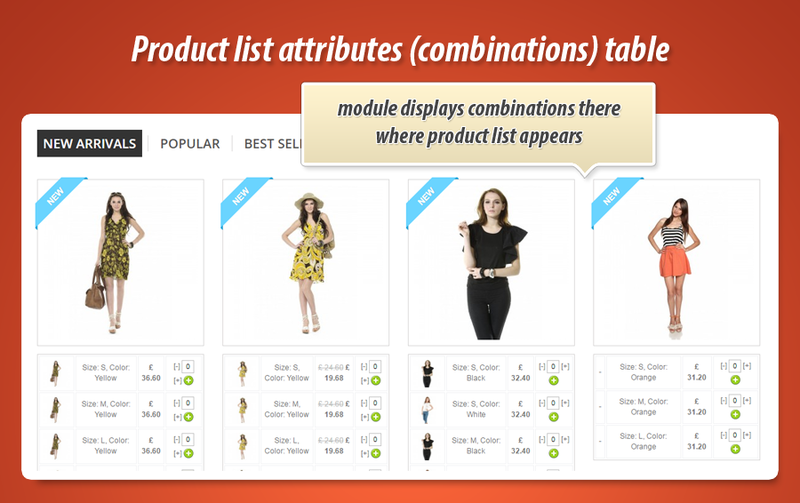 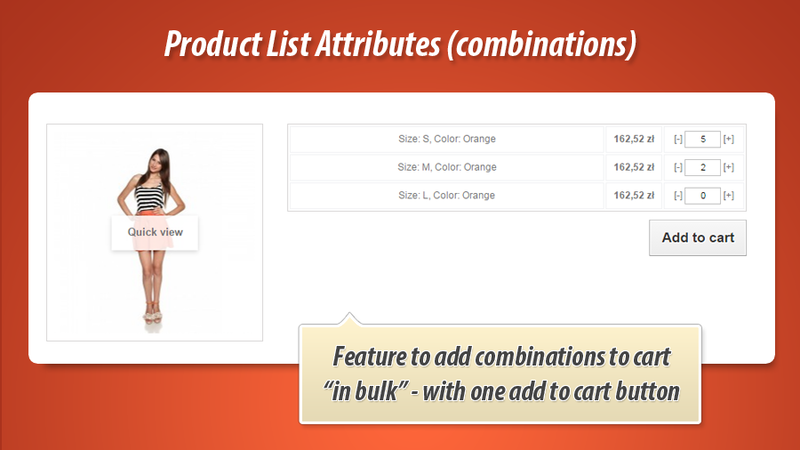 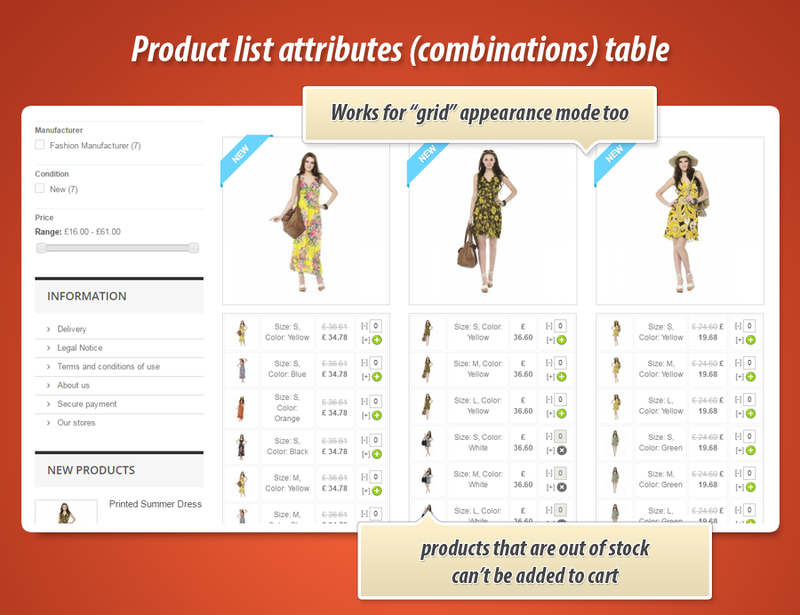 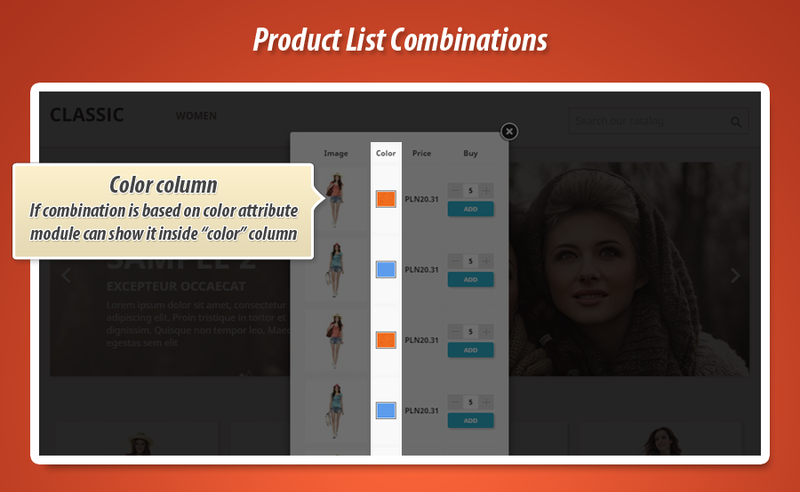 In simple words - this plugin will display product combinations there where the list of product appears. 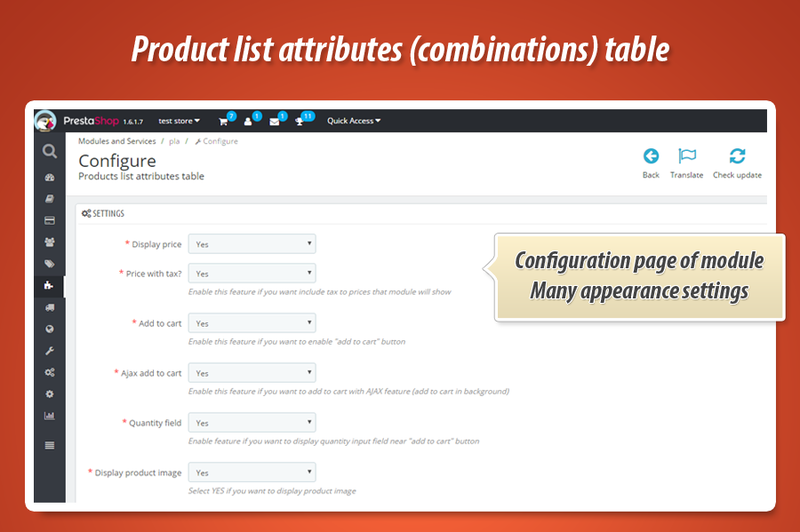 Addon has several appearance options, so you can configure it to display informations you want. 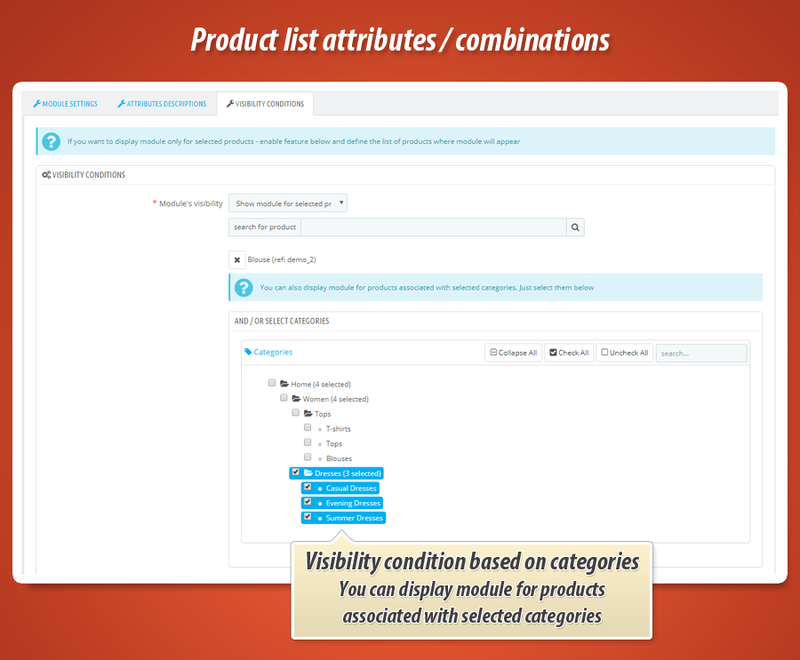 Main and the most important feature of the module is a possibility to display list of available product variations (combinations) on each listing of product. 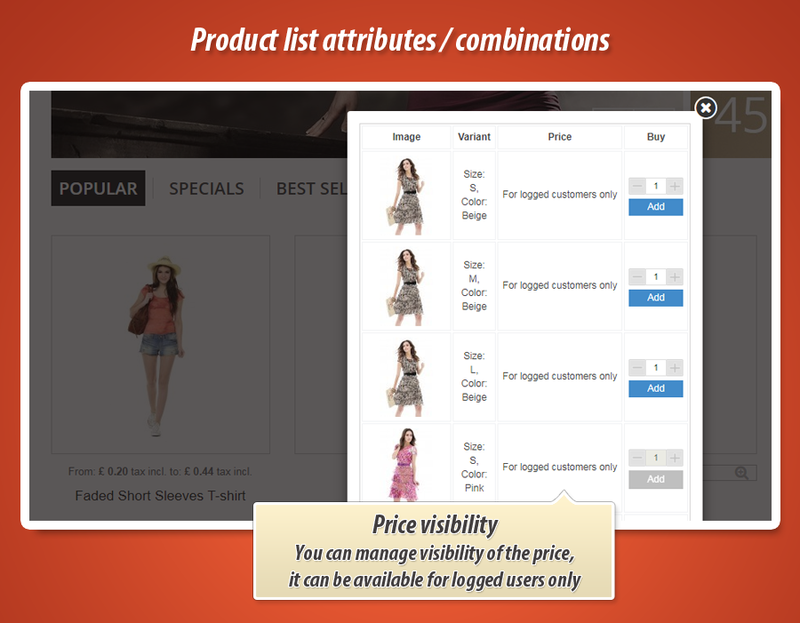 Each available option in the module is strictly related to this feature. 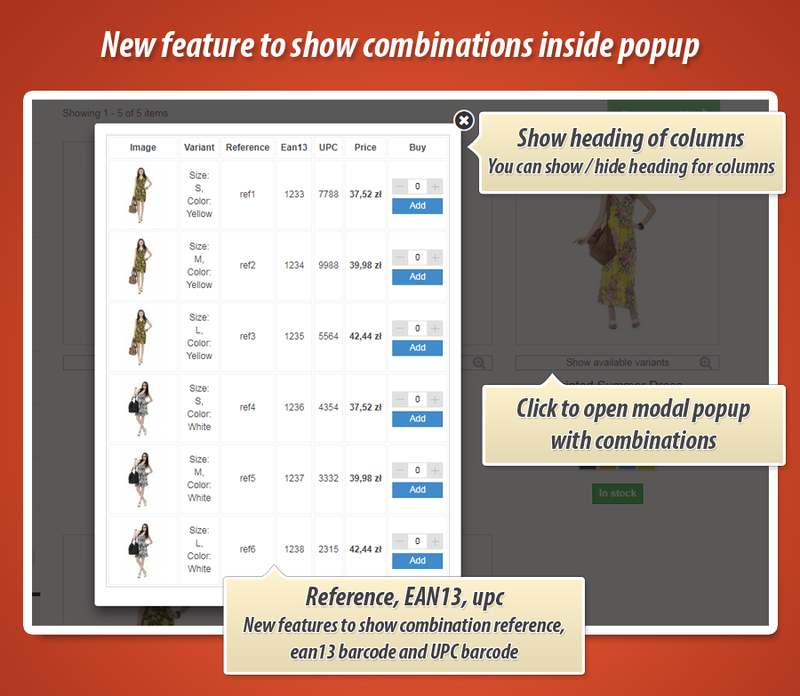 So, below i will describe options available in the module. 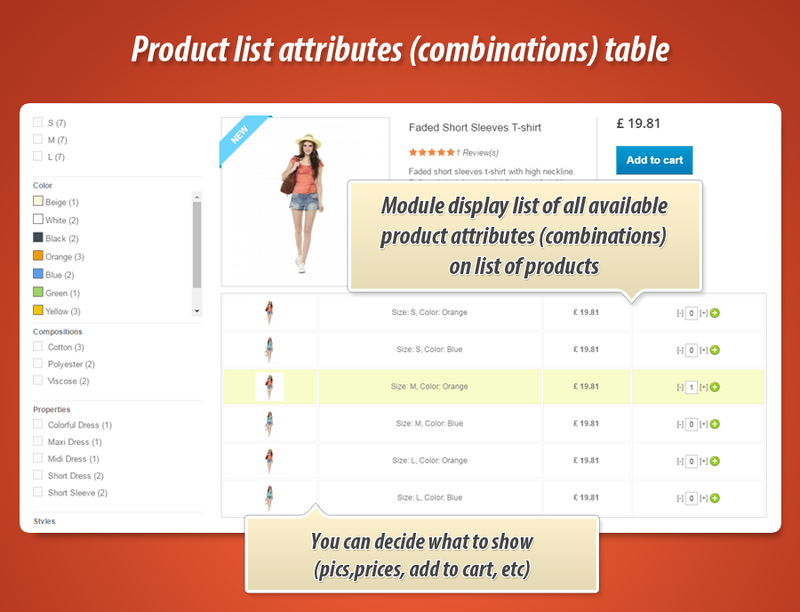 You can also display this module for products that do not have combinations - then it will display quantity field with add to cart button. 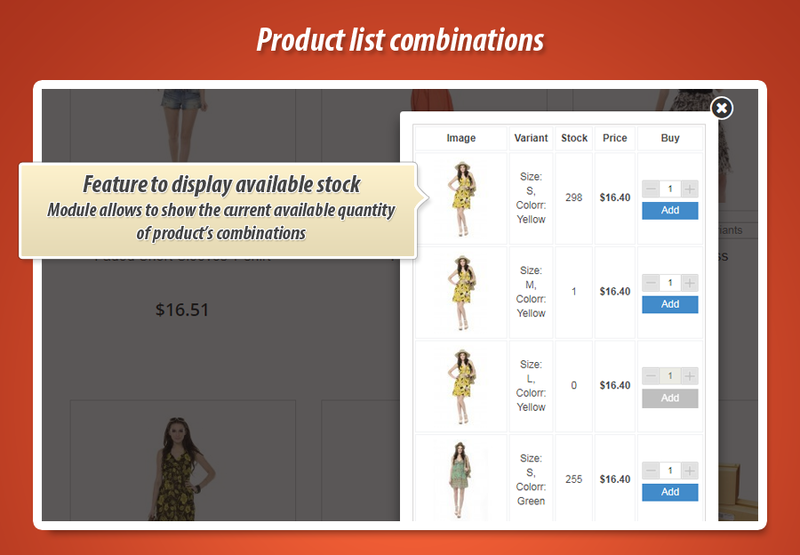 You can enable or disable feature that allows to "add to cart"
- added feature to show combnanations' stock on list of combinatons. 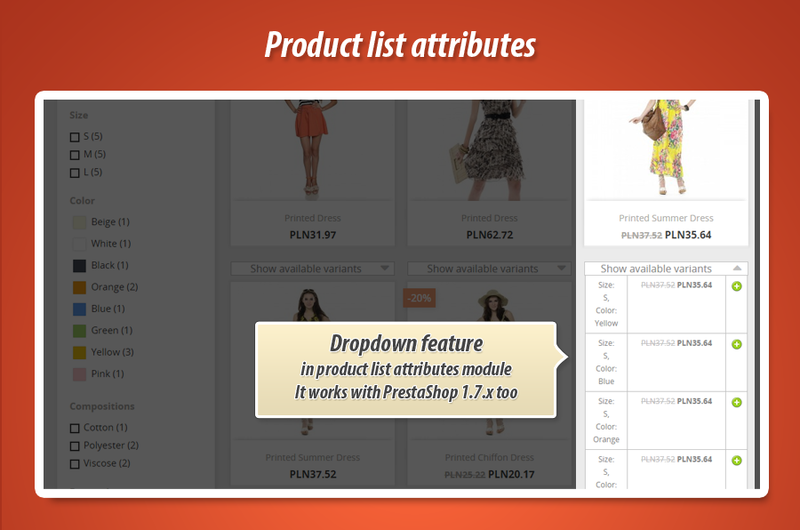 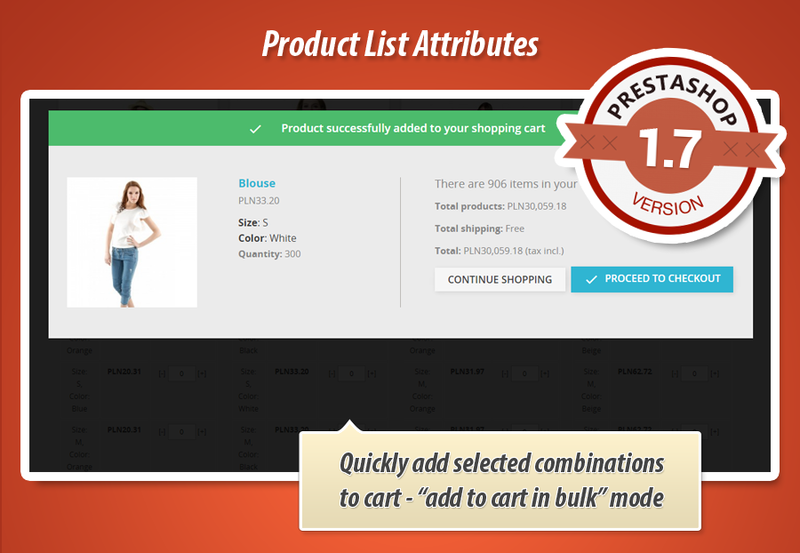 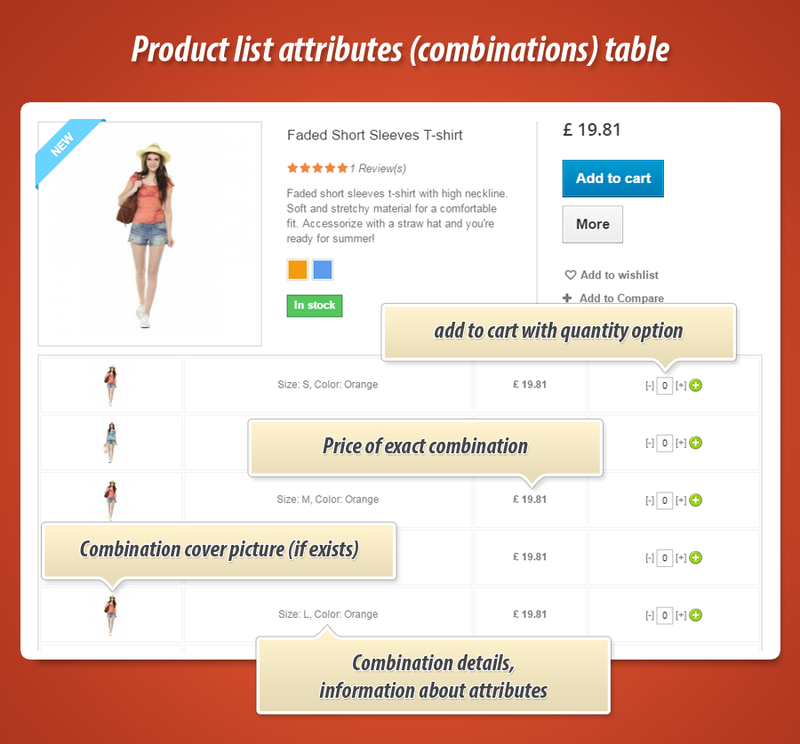 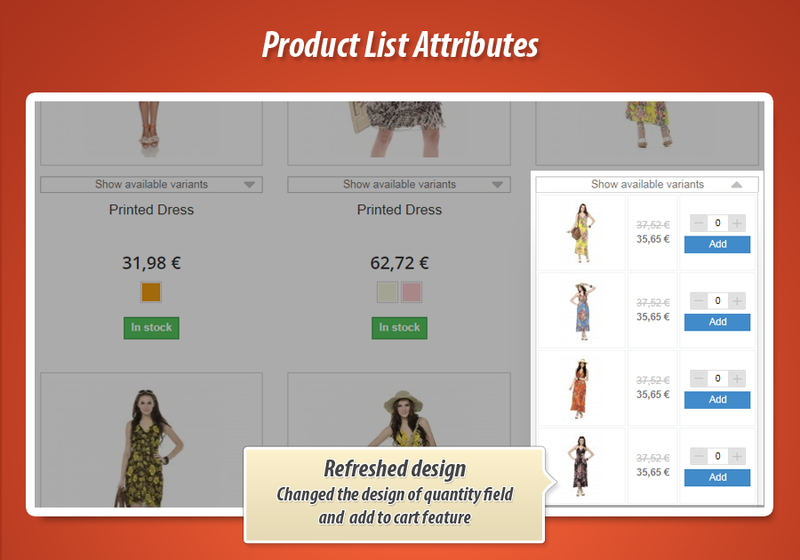 - added feature to decide if module will show attribute label in column "combination name"
- added new feature to disable popup with combinations matrix automatically after pressing "add to cart"
- with dropdown effect module will show button "show available variants"
- module supports PrestaShop 1.7 now!